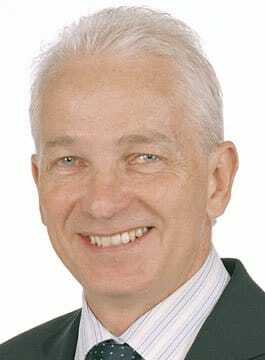 David Gower OBE is an England Cricket Legend, Commentator and After-Dinner Speaker. Born in Tunbridge Wells, Kent, in April 1957, Gower spent much of his upbringing in Tanzania. He made his debut for Leicestershire County Cricket Club in 1975. He stayed with the club for 14 years until he joined Hampshire. David Gower is England’s second highest ever runs scorer in Test Match history. His stylish play took him to 18 Test Match 100s and 32 Tests as Captain of England. He has a number of books to his credit, including a 1992 autobiography. David was the correspondent for The Sunday Express for two years, has written columns for The Times, The Sunday Telegraph, The Sun and The Sunday Times. David extended his broadcast work to include the popular quiz show They Think It’s All Over, on which he was a resident team captain between 1995 and 2003. Gower is now the main presenter of international cricket coverage for Sky Sports and regular commentator alongside David “Bumble” Lloyd, Mike Atherton, Nasser Hussain and Ian Botham. David enjoys collecting and drinking fine wine. Other interests include photography, safaris, wildlife conservation, music and crosswords. David Gower is in great demand as a witty and interesting motivational and after dinner speaker. A number of guests have remarked on how much they enjoyed David Gower's speech - I thought it was perfectly pitched for our audience. I also appreciate the length of time he spent mingling with our guests after the dinner had finished.